Damon joined up with Jimmy Kimmel for a spoof of the United Airlines 'passenger bumping' scandal. Matt Damon and Jimmy Kimmel put aside their light-hearted ‘feud’ for a hilarious segment skewering United Airlines for its recent passenger-bumping PR disaster on the latter’s late night chat show this week. The two have been engaged in fictitious feud with each other for eight years, largely revolving around how Damon never gets invited as guest to ‘Jimmy Kimmel Live!” However, they joined forces for the sake of capitalising on the great social media talking point of the last fortnight – the United Airlines scandal in which a passenger was dragged off a United airplane by airport police because he had been bumped from the internal flight. Damon talked about 'The Great Wall', which is out cinemas now. 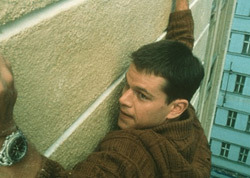 Upon the release of his new epic movie The Great Wall, Hollywood star Matt Damon, whose name is credited in some of the most prestigious movie projects ever, believes that he’s never been involved with anything on the scale of this – even the subject matter of the Wall itself. 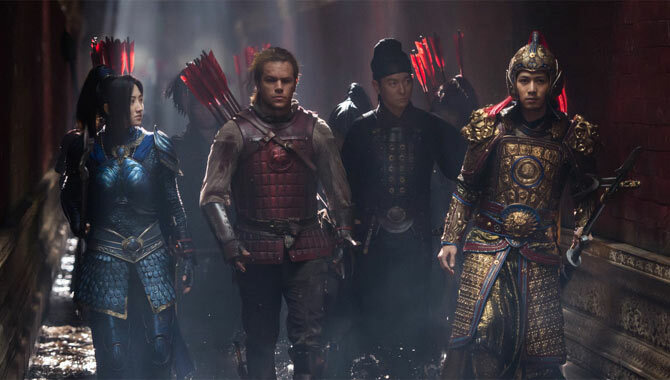 When Matt Damon was cast in veteran filmmaker Zhang Yimou's new adventure The Great Wall, the internet erupted with cries that putting a Western actor into the story was "whitewashing" Chinese history. But the actor was quick to point out that the movie is a fantasy and his character was written to be Western. "The whole idea of whitewashing, I take that very seriously," Damon says. "This was designed as a giant East-meets-West coproduction creature-feature monster movie!" 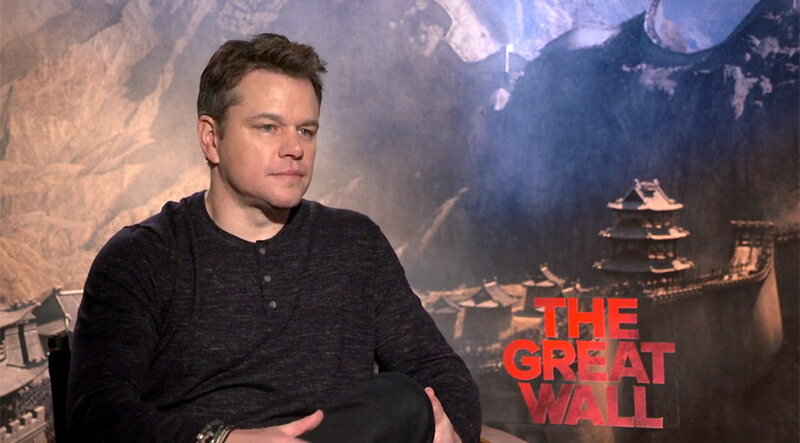 Matt Damon talks about the complexities of his character in a short featurette for his latest movie 'The Great Wall'; a film set in China during the Song dynasty which follows William Garin - a young man captured and given to the army at a very young age. Together with his loyal companion Pero Tovar, he fights every battle and they always have each other's back. Pretty soon though, he starts to wonder if there's more to life than just fighting for money. But he'll have to break through more than just the defences of the Chinese army if he wants to find out, because there are supernatural and monstrous forces at work here. George couldn’t wait to tell BFF Matt his exciting news. Matt Damon has shared the unusual reaction he had when friend George Clooney revealed that he and wife Amal were expecting twins. Damon said he first found out the exciting news last fall, when Amal was just eight weeks pregnant, and his immediate reaction was to remind his friend about the ’12-week rule’ when it comes to sharing pregnancy news. 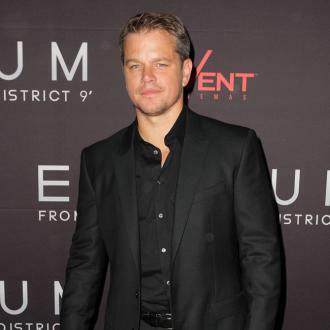 Continue reading: So Why Did Matt Damon Tell George Clooney To 'Shut Up' After He Revealed Baby News? This may not be the cheeriest movie of the season, but it's so skilfully written, directed and acted that it's impossible not to be pulled into its powerfully wrenching drama. Writer-director Kenneth Lonergan (see also 2011's sleeper masterpiece Margaret) creates characters so vivid that they get deep under the skin, and he allows his actors to so fully inhabit them that they become unforgettable. This is the story of Lee (Casey Affleck), a janitor who is hiding in Boston from his past. When his brother Joe (Kyle Chandler) has a heart attack, he returns to his hometown Manchester to take care of Joe's 16-year-old son Patrick (Lucas Hedges), who isn't remotely happy about this set-up. But Joe's estranged wife Elisa (Gretchen Mol) has vanished, and Lee's ex-wife Randi (Michelle Williams) has started a new life. So while Patrick struggles to maintain his independence, Lee tries to build some sort of relationship with him. But both are still reeling with pain over things that happened to them over the years. Yes, the central theme here is grief, and Lonergan piles mountains of it onto these characters. As details about their back-stories are revealed, the intensity of the emotions becomes nearly unbearable, and yet neither Lonergan nor the actors ever give into sentimentality or trite sermons. This is achingly realistic, an exploration of how people survive even the worst things life can throw at them. And Affleck delivers his best performance yet in the role, a devastatingly transparent turn that holds the audience in rapt attention. Newcomer Hedges matches him beat for beat as a deeply likeable teen whose prickly reactions make him even more sympathetic. And both Williams and Mol add some blistering electricity as women struggling to reinvent themselves. In just a few scenes, Williams very nearly steals the film. 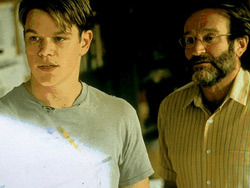 Matt Damon Reveals He Feels He Still Owes Robin Williams An "Incredible Debt"
Matt Damon’s career was given an invaluable boost when he and Ben Affleck appeared beside Hollywood heavyweight Robin Williams in Good Will Hunting and the actor has revealed he always thought he would be able to pay the funnyman back the "incredible debt" both he and Affleck owed him. Now the Oscar award-winning actor has revealed he finds it hard to come to terms with Williams’ suicide two years ago and the fact he will never be able to thank him properly for launching his career. 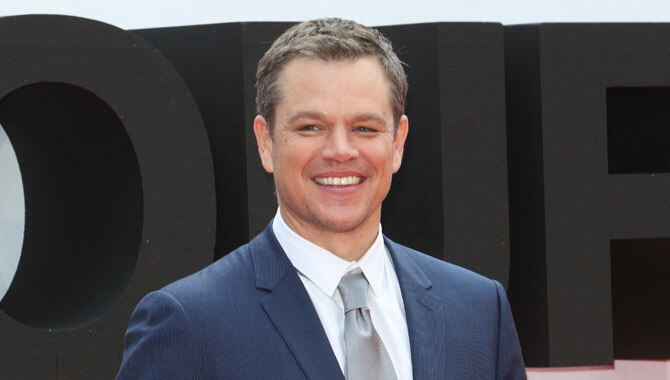 Continue reading: Matt Damon Reveals He Feels He Still Owes Robin Williams An "Incredible Debt"
Matt Damon is set to star in ''a little bit'' of 'Ocean's Eight'. The 46-year-old actor - who played the role of Linus Caldwell in the 2001 hit movie 'Ocean's Eleven' alongside George Clooney and Brad Pitt - has revealed he will star in the all-female reboot of the highly-anticipated production. The forthcoming production will star Anne Hathaway, Sandra Bullock, Helena Bonham Carter, Rihanna, Minday Kaling and Cate Blanchett, and will see the group of actresses undergo a heist at the Met Gala. Filming on the all-female Ocean’s outing in Ocean’s Eight began earlier this year and, in a little nod to the original outing, one of Ocean’s Eleven’s main stars will be making a cheeky cameo: Matt Damon. The star, who played Linus Caldwell in the all-male 11 and 12 films, will feature "a little bit" in the newest franchise which is being headed by Sandra Bullock and produced by George Clooney and Steven Soderbergh. The film has been accused of whitewashing for not casting a Chinese actor in the lead role. 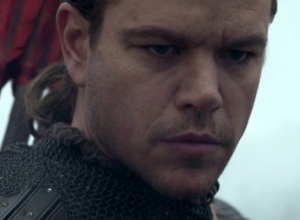 Matt Damon has defended his new film The Great Wall after accusations of ‘whitewashing’. The actor said the criticisms of the movie were a “f****** bummer” and added he’ll be surprised if people still have that reaction after seeing the finished product. Dwayne 'The Rock' Johnson earned $64.5 million according to Forbes' annual list - nearly $20 million more than the highest-earning female actor, Jennifer Lawrence. In a list that’s sure to reignite the debate about the gender pay gap in Hollywood, Dwayne Johnson has been named the highest-earning male movie star in the last 12 months, with an income of $64.5 million – nearly $20 million more than Jennifer Lawrence, the top-earning female actor. 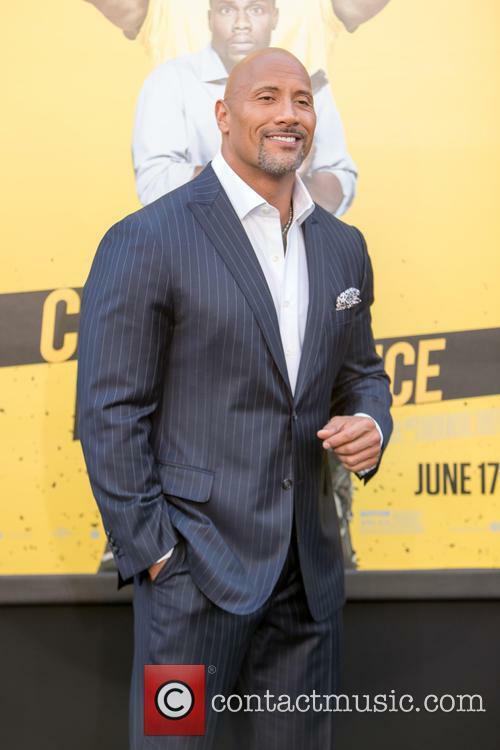 Forbes published its annual list of the highest-paid movie stars in the business on Thursday (August 25th), and it revealed that ‘The Rock’ has more than doubled his earnings over the period of June 2015 to June 2016, thanks to a combination of big-budget movies such as The Fast and Furious franchise and the disaster film San Andreas, plus upfront fees for the likes of Central Intelligence, Fast 8 and the new Baywatch film. Rihanna is set to star in 'Ocean's Eight' alongside Anne Hathaway, Cate Blanchett and Sandra Bullock in the spin-off of the popular crime thriller starring George Clooney. Rihanna is set to star in 'Ocean's Eight'. Sandra Bullock and Cate Blanchett in the upcoming sequel to the crime thriller movie, which is a spin-off of 'Ocean's Eleven', which starred Brad Pitt and George Clooney, according to Deadline. 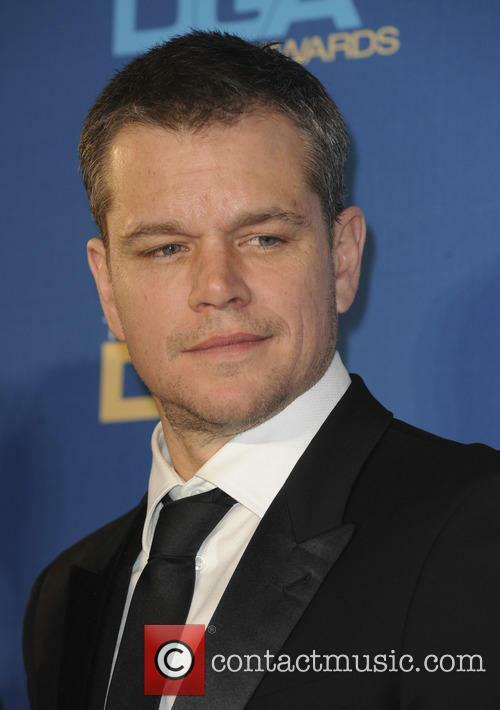 After The Bourne Ultimatum opened in 2007, Matt Damon memorably replied to a question about future films in the franchise: "We have ridden that horse as far as we can. For me, I kind of feel the story that we set out to tell has now been told." Both he and director Paul Greengrass ruled out any further films, prompting the studio to make the 2012 reboot The Bourne Legacy. 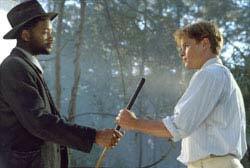 A few years later, Damon and Greengrass agreed to come back. "It's a tough thing to earn an audience's trust and so we didn't just rush into it," Damon says. "We waited for 10 years or so and got a good story." The new film, simply titled Jason Bourne, opens with a big fistfight. "We shot that scene, that first fight, on the first day and it was like, we're doing this," Damon says. "It won't be said that we came to pick up a pay cheque. We're going to give it absolutely everything we have!" 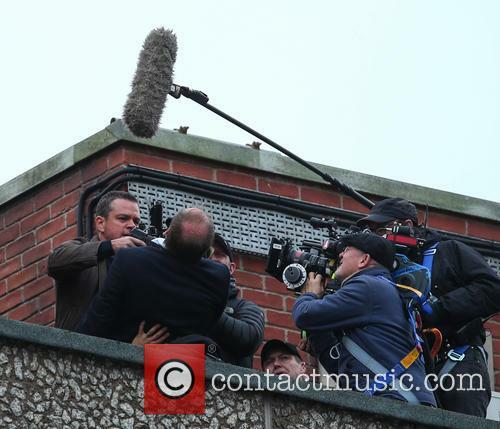 It's been nine years since Matt Damon and Paul Greengrass collaborated on The Bourne Ultimatum, and now they're back. The plot feels like it was agreed by a committee, as thin as the non-title of this film. Honestly, this franchise offers endless options for titles, and they just decided not to bother this time. So even though the story has a whisper of soap-opera silliness about it (yet another blurred memory comes to light), the film is relentlessly entertaining, building momentum as it surges from dark drama to intense action. Since finally figuring out who he is, Jason (Damon) has been earning a living as a bare-knuckle boxer on the Greek-Albania border. Then his former cohort Nicky (Julia Stiles) uncovers a new piece in his life puzzle, which allows the CIA's Director Dewey (Tommy Lee Jones) to track them down. As he sends in a ruthless assassin (Vincent Cassel) to get rid of them once and for all, plucky CIA analyst Heather (Alicia Vikander) takes a different approach, determined to bring Jason back into the firm. But he's not coming in without a fight, and as the stakes rise, the chase shifts from Athens to Berlin, London and finally Las Vegas. As all of this is happening, Dewey is also trying to strong-arm the billionaire founder (Riz Ahmed) of a hot social media platform to allow the CIA to have access to its customers. And he's heading to Vegas as well. This sideplot integrates cleverly with the main narrative, although its message about government overreach is a bit heavy-handed ("Privacy is freedom!"). Still, it adds some kick to the whizzy computer gadgetry that fills this franchise, from tracking devices and tiny earpieces to miraculous hacks. He knows he'll be too old to continue the franchise for another decade. Matt Damon has spoken out to say that he is thoroughly comfortable with the fact that, should the Jason Bourne franchise continue for some time, he'll eventually have to be replaced. This much isn't too surprising given that he's already taken a step back from the franchise previously, with Jeremy Renner taking over in the last movie. 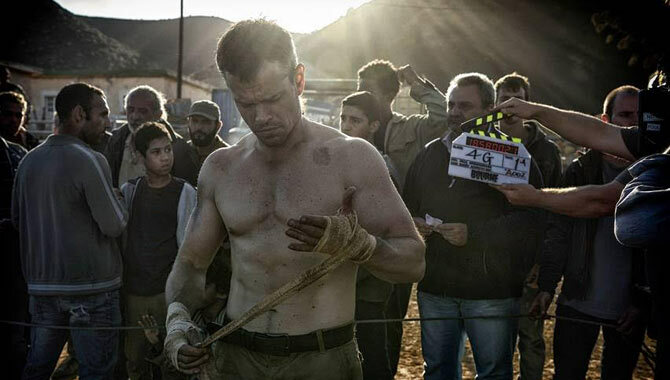 He's currently promoting the fifth installment of the franchise, entitled simply 'Jason Bourne', which is being released fourteen years after the first film 'The Bourne Identity'. It's been going this long so far, so there's nothing to stop it continuing for another decade or so - but Matt Damon will be well into his 50s by then. Jason Bourne comes as the fifth instalment in the revival of Bourne to our screens where the film sees the return of Matt Damon as the protagonist and its returning director Paul Greengrass. 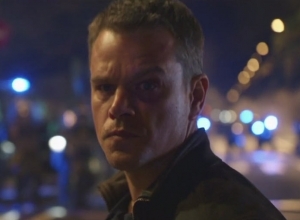 Bourne is a former secret agent who has previously failed to understand his own identity and battles with a constant process of finding out new information about himself. 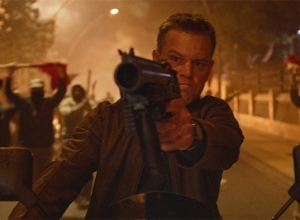 In this sequel Bourne is once again at war with the people that have turned him into the man he is and struggles to cope with the sheer amount of pressure he is put under from the state. This year is turning out to be an exciting year for the film industry. With all the award shows over and done with for 2015, we're keeping tabs on some of the major pictures of 2016 to see what's in store for next year's Oscars. Looks like there's some serious competition. So far, among the major releases we've had are 'Batman v Superman: Dawn of Justice', 'Deadpool', 'Hail, Caesar! ', 'Zootopia' and '10 Cloverfield Lane'. That is literally the tip of a very large iceberg for what 2016 has to bring to screens this year. That must've taken some muscle from Affleck. Matt Damon might have failed at landing a Best Actor Oscar this year, but he has managed to make his way onto 'Jimmy Kimmel Live' finally with the help from his best friend Ben Affleck. Of course, his stay was very brief as Kimmel was soon able to kick him off, but it was enough to please the audience. As part of the post-Oscars show, Ben Affleck arrived onto the stage of 'Jimmy Kimmel Live', nonchalantly wearing a massively bulging overcoat and claiming that finishing training for his Batman role has meant that all his muscle has turned to fat. In response to Kimmel's comment that he's 'ballooned', Affleck quipped: 'I didn't think this was going to be about body-shaming tonight'. But Kimmel was not to be fooled by the absurd moving bump and immediately got up to see what Affleck was hiding. It turned out to be a very red-faced Matt Damon, panting a little from the lack of oxygen, who unstraps himself from a body harness that Affleck is wearing and garners huge applause from the audience, to Kimmel's chagrin. 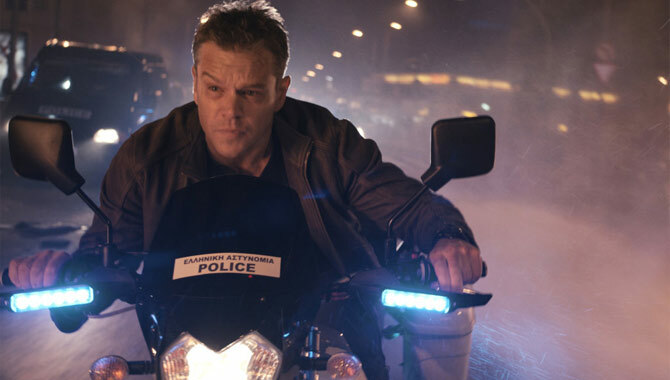 Matt Damon returns in a new Bourne sequel. 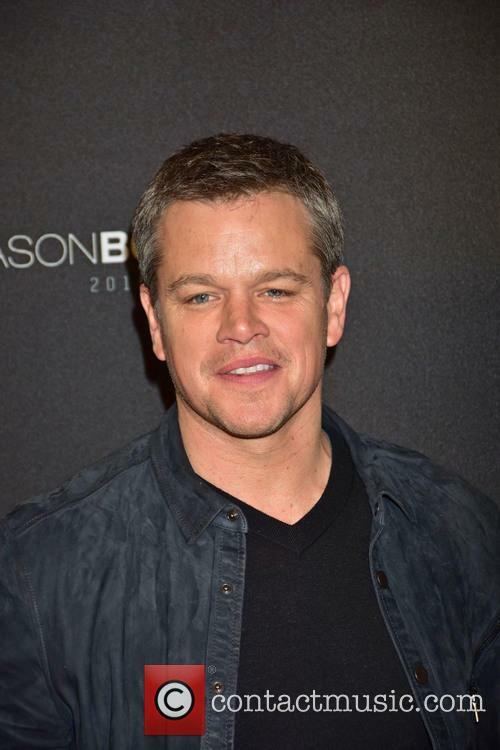 A new instalment to 'The Bourne Identity' franchise is set to hit this summer in the form of 'Jason Bourne', seeing the return of Matt Damon in the starring role. It's a welcome comeback for the actor, after the poorly received previous flick from 2012, 'The Bourne Legacy' starring Jeremy Renner. It's not that there was anything wrong with Renner's performance, it's just that Jason Bourne's story was generally a lot more engaging, and so pulling him out of retirement for a fifth instalment of the franchise is a much needed resumption to the original layout. Jason Bourne is used to living in the shadows. Since uncovering the wrongdoings of operation Blackbriar and Treadstone, Bourne has been in hiding, to the outside world Jason Bourne does not exist. 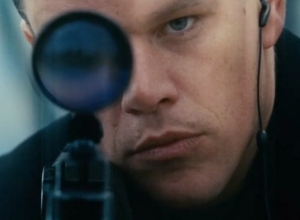 Once again finding himself having to surface, Jason Bourne is a hunted man. Memories of his past are slowly returning to Bourne but what as his limited allies are quick to remind him, there's a war going on and what Jason might not remember are the things that might be most important. 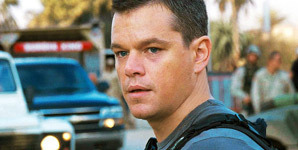 Matt Damon returns as Jason Bourne in the fourth film in the series - fifth if including the spin-off The Bourne Legacy. Jason Bourne is directed by Paul Greengrass. 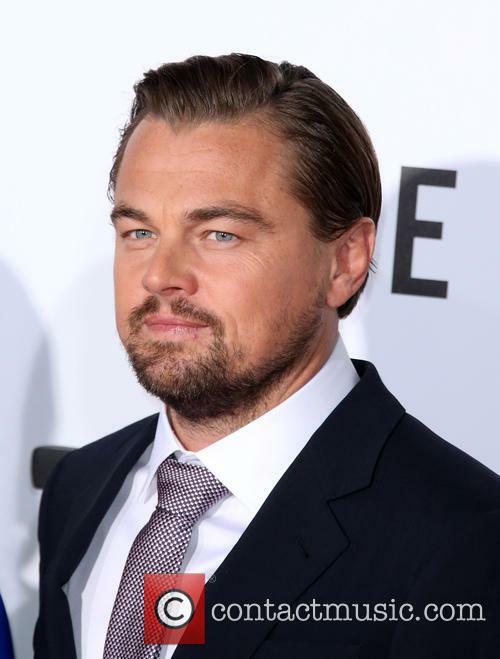 Leonardo DiCaprio was named best actor at the ceremony on Sunday, as 'The Revenant' also took home best picture. The Revenant swept the board at last night’s 73rd annual Golden Globe awards. The historical drama took home the Best Picture and Best Director awards at the star-studded ceremony, while Leonardo Dicaprio was named Best Actor. Leonardo DiCaprio was named Best Actor at the Golden Globes. Accepting the award, DiCaprio, who played frontiersman Hugh Glass in the drama, described taking home the gong as ‘an incredible honour’. 'Wow, that meant a lot,’ he continued. See Michael Douglas, Matt Damon and Rob Lowe as you've never seen them before in Behind The Candelabra! 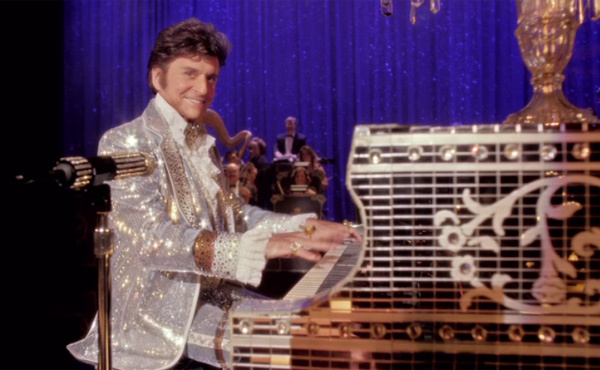 Steven Soderbergh lands in sunny Cannes this week with his HBO movie Behind the Candelabra, a biopic of the flamboyant pianist Liberace, played by Michael Douglas. The American entertainer's personal life was embroiled in scandal with rumors of homosexuality which he always vehemently denied - this despite his close relationship with a young chauffeur named Scott, 39-years his junior. 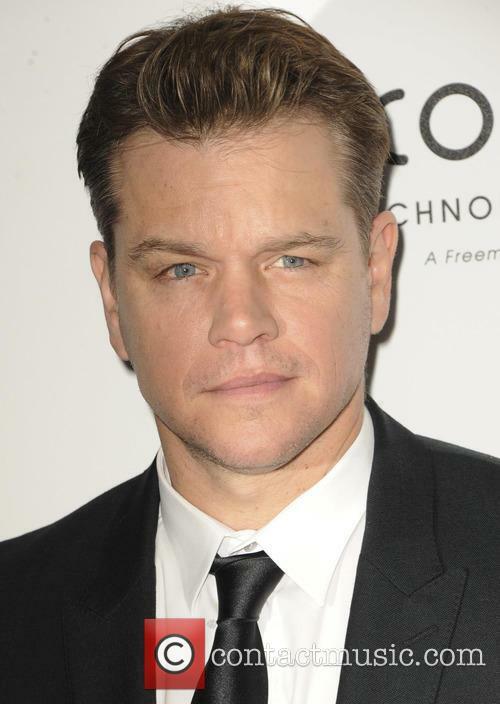 Scott, played by Matt Damon, becomes an important figure in the pianist's life and he is even persuaded to under facial surgery by the pianist. It led to a desperate struggle with drugs and various fiery arguments between the pair. "I didn't want to do a biopic in the traditional sense. I wanted to go narrow and deep," Soderbergh told the Los Angeles Times of the movie, "It's Alice going down the rabbit hole. That's a much more elegant way to get into Liberace's life." On his love scenes with Damon, Michael Douglas told the New York Magazine, "Once you get that first kiss in, you are comfortable.Matt and I didn't rehearse the love scenes. We said, 'Well - we've read the script, haven't we?" Watch the 'Behind the Candelabra' trailer! Liberace was an American pianist and entertainer well-known for his flamboyant lifestyle and the sense of grandiose he carried about with him. His personal life was embroiled in scandal with rumours of homosexuality which he vehemently denied. While everyone saw him as a figure of extravagance and individuality, behind closed doors was a turbulent relationship with a young chauffeur 39 years his junior. Scott Thorson became an important figure in Liberace's life; not only as a driver, but also like a son, a brother and a best friend. They embarked on a 5 year affair that saw Liberace persuade Scott into facial surgery to resemble himself, something which led to a desperate struggle with drugs on Scott's part and many a fiery argument between them. Just what was life for Liberace like behind the glitz and glamour of his luxurious existence? While some of us are still struggling to get their bearings after winter, Matt Damon and wife Luciana Barroso decided to jet off to the tropical island of St. Lucia to renew their vows, PEOPLE confirms. With a $600 000 price tag and some extremely tight security around the island price tag, the ceremony is hardly quaint, but it’s still an intimate affair. The couple are set to exchange vows in front of their four daughters and some close friends, including Ben Affleck and Jennifer Garner, as well as Catherine Zeta-Jones and Michael Douglas. The Damon family have been together since 2005, when they married in a modest civil ceremony in New York city. They met in 2003, while Damon was shooting Stuck on You and Lucia was bartending. While reports that the resort is being closed down for the ceremony have been discredited by E!News, the St. Lucia authorities are still taking serious security measures for the event. Neill Blomkamp returns with his first movie since the Oscar-nominated District 9. 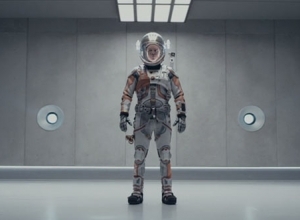 A new trailer has been released for ‘Elysium,’ Neill Blomkamp’s follow-up to his well-received debut feature District 9. 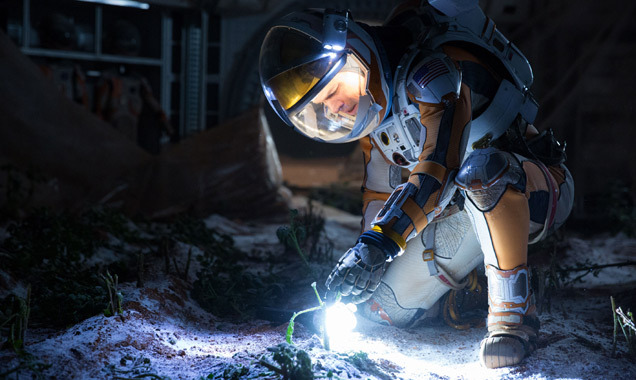 Set in the year 2145, the movie follows a number of wealthy Earthlings who have relocated to a paradise space station named Elysium, where there is no poverty, no war, no sickness and strict immigration measures in place. 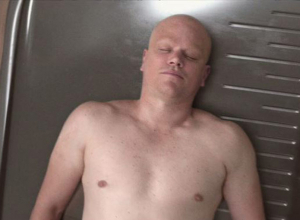 However, after an unexpected turn of events that leave tough guy Max (played by Matt Damon) fighting for his life, he agrees to attempt a risky scheme to save himself. Blomkamp earned plenty of acclaim for District 9, and Elysium appears to fall into similar territory. According to the Los Angeles Times, the director showed off 10 minutes of footage from the film to journalists in Hollywood on Monday, with Damon (participating via video-link) saying he “could not pass up the chance” to work with Blomkamp because he’d admired District 9 so much. 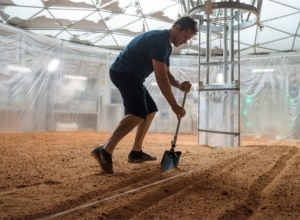 That movie was nominated for Best Picture at the Oscars for its story of an extra-terrestrial race forced to live in slim-like conditions in South Africa. After a celebrity gets a star on the Hollywood Walk of Fame, there isn’t much left to prove, is there? Still, we hope Jimmy Kimmel keeps working and entertaining, because, even after taking up the same slot as late night heavyweights Leno and Letterman, Jimmy Kimmel Live keeps delivering top notch entertainment. After Matt Damon “hijacked” the show on Thursday evening, on Friday, Kimmel accepted the honor alongside his parents, his wife and former JKL intern Carson Daly. 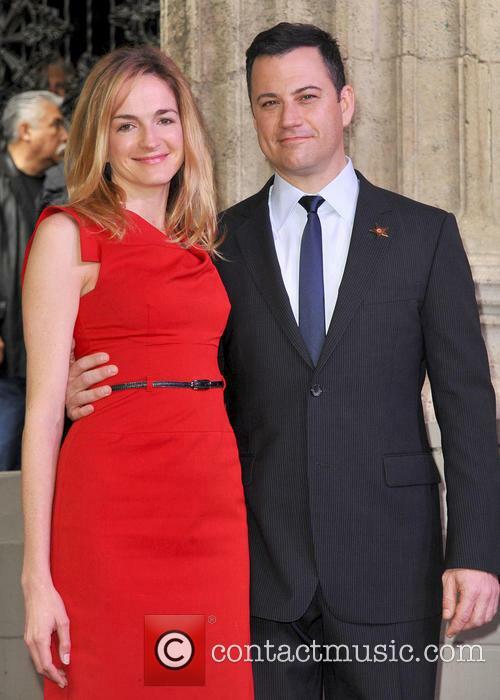 Jimmy Kimmel and wife Molly McNeary attend the ceremony honoring the talk show host. Jodie Foster Comes Out; But Is Her Movie Career Still Alive? "Jodie Foster comes out!" were the cries from the entertainment press following the actress' Golden Globes speech on Sunday (January 13, 2013) during which she cleared up any ambiguity surrounding her sexuality and made a heartfelt plea for privacy in Hollywood. Foster - who was accepting the Cecil B. DeMille Award at the Beverly Hilton Hotel - told the star-studded audience, "I already did my big coming out about a thousand years ago in the stone age, in those very quaint days when a fragile young girl would open up to trusted friends, and family, co-workers and then gradually, proudly, to everyone who knew her." "If you had been a public figure since the time you were a toddler, if you had to fight for a life that felt real and honest and normal against all odds, then maybe you too would value privacy above all else," she added. Ok, so everyone applauded Foster's openness (several audience members even cried), though after a long and distinguished career, is the 50-year-old still considered amongst Hollywood's premier band of leading ladies? Quiz anyone on their favourite Jodie Foster movie and the answer will invariably be Taxi Driver, The Accused or Silence of the Lambs, the latest of which hit cinemas in 1991. Ok, so there's been a couple of good movies since - most notably Panic Room (2006) and Inside Man (2006) - though shouldn't a two-time Oscar winner have been offered stronger roles in the supposed peak years of her career? Perhaps Foster still has award-winning roles ahead of her, ala Meryl Steep, Helen Mirren and Glenn Close. A recent directorial foray with The Beaver didn't turn out well. Although the comedy-drama had an interesting premise, Mel Gibson's central performance was panned by critics. The Guardian's Peter Bradshaw said, "Contrived, self-admiring and self-pitying, unfunny, burdened with a central performance which is unendurably conceited and charmless." Perhaps things will turn around for Foster with Elysium, District 9 director Neill Blomkamp's forthcoming sci-fi set in the year 2159, where the very wealthy live on a man-made space station while the rest of the population reside on a ruined earth. Sounds a reasonable enough sci-fi offering, though something in the script has attracted Matt Damon to play the lead role of Max. Foster will play a government official. Continue reading: Jodie Foster Comes Out; But Is Her Movie Career Still Alive? 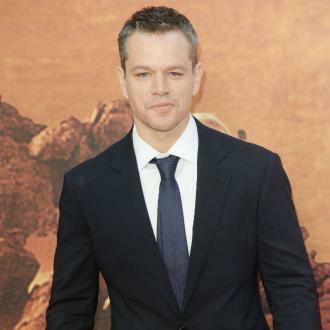 Matt Damon gets political in his new movie Promised Land, which tackles the issue of ‘fracking,’ the process of hydraulic fractured drilling, which has been at the root of great political debate in the US for some time. Its effects on drinking water and the debate surrounding energy use is a controversial one and has been gaining notoriety. The arrival of Promised Land will inevitably bring that debate to the awareness of even more American citizens. Promised Land also stars Frances McDormand and John Krasinski (possibly best known for his role in the US version of The Office) and is scheduled for release in April 2013. With Tom Cruise on the bill, a film is almost guaranteed to do well, but Jack Reacher had already hit problems when fans were disappointed by the 5ft 7 actor playing a man meant to be at least 6ft as well as being pushed back a week out of respect after the tragic shooting in Newtown. It opened its first week at number two in the box office, but dropped to fifth place this week, beaten by The Hobbit, Les Miserables, Django Unchained and Parental Guidance. With those initial setbacks and some seriously stiff competition at the cinema, the mixed reviews certainly won't be helping it out either. The Radio Times describes it as "underwhelming" adding that "Writer/director Christopher McQuarrie... piles on the shoot-'em-up clichés and corny dialogue." The Financial Times gives it a mere two stars saying that it's "It's high-gloss tripe with noir pretensions." And no one seems to get away without being lampooned as the New York Times criticizes Cruise noting that "Reacher is a character Mr. Cruise could play in his sleep, which is pretty much what he does." In contrast, however, the Guardian's Peter Bradshaw was fairly generous, with three stars he describes it as an "outrageous but entertaining pulp-melodrama thriller." And Empire Magazine enjoyed it too, according to them "Christopher McQuarrie and Tom Cruise deliver on their promise, with a witty, violent take on Reacher that makes up for its lack of height with an abundance of smarts and thrills." 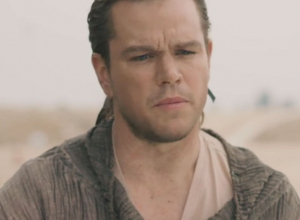 The reviews are in for Matt Damon’s Promised Land and, well, they aren’t great. Most critics tend to say the same things – good casting, interesting premise, but the devil is in the details. In this case, the detail is that the film is “too gimmicky for its evident earnestness”, according to LA Times reviewer Kenneth Turan. The New York Times’s A.O. Scott calls the film’s treatment of the topic “both honorable and disappointing” while The Washington Post’s Ann Hornaday calls the film “a well-intentioned dry well”, with regard to Damon and Krasinski’s performances. Overall, the reviews are luke-warm at best, but that doesn’t necessarily seal Promised Land’s fate at the box office. As we’ve seen more than once in the past, critics and movie-goers tend to disagree sometimes. Something that certainly does not bid well for Promised Land, however, is its current score on review aggregator Rotten Tomatoes. With an overall ”rotten” score of just 48% and liked by just 40% of viewers, the environmental drama (if that's even a genre) is far from a smash hit. What a disappointing start for such a promising film! Of course, this is far from being the final nail in the coffin, but it does means that the flick probably won’t be competing with the likes of Django Unchained or The Hobbit for box office attention. 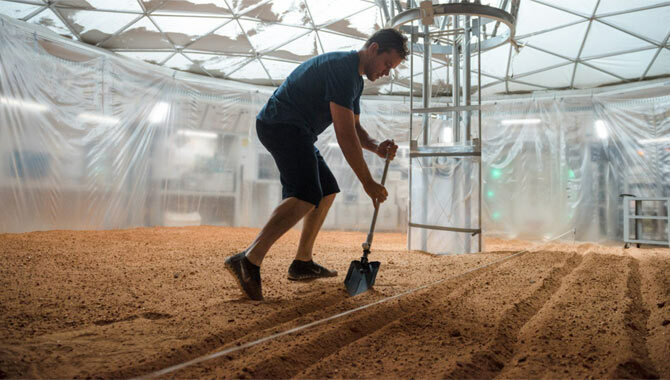 Matt Damon and Ben Affleck have always seemingly done everything as a pair, and the trend has continued with Damon releasing his new flick Promised Land right on the heels of Affleck’s Argo. As you might expect, Damon, who is no stranger to screenwriting, most notably with the critical success Good Will Hunting, is putting in the effort with this one as well. 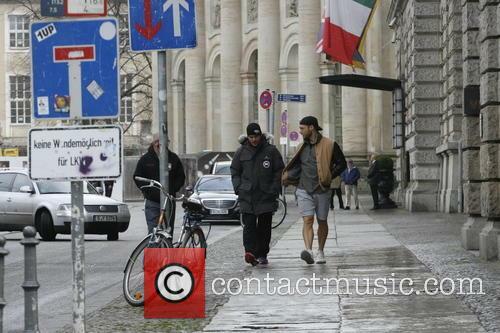 The film, due to be released in April of 2013, is co-written by him and Dave Krasinski. Interestingly enough however, unlike partner-in-crime Ben Affleck, Damon did not manage to get in to the director’s chair for his most recent project, New York Daily News reports and instead the job went to big name director Gus Van Sant. Of course, the famed director has had some hits and misses in his day (Remember Paranoid Park? Yeah, neither do we), but teaming up with Damon has always seemed to work in the part. Not to mention that according to Krasinski, the fact that Van Sant signed on to direct at the last minute was what ultimately saved the project, after good old Matt had to step down due to a scheduling conflict. The film itself is in the increasingly popular of late “social awareness” genre and stars Damon as an employee of a natural gas drilling company and Krasinski as the guy, trying to stop him from having his evil, corporate way with the beautiful nature of rural Pennsilvania. Either way, even if the premise doesn’t sound quite groundbreaking, this writer/director team has proven that they have it in them to make a solid memorable movie. And with so much early hype, it looks like Promised Land will be one of the biggies in 2013. 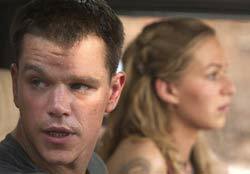 Matt Damon's 'Promised Land' Flops With Reviewers, But Why? Matt Damon rarely makes a bad film, but with a 49% rotten rating on review aggregator, Rotten Tomatoes, something has clearly gone wrong for his latest movie Promised Land. Promised Land is about 'Fracking', which is a technique of drilling the ground to exhume natural resources from the Earth including oil and natural gases. Damon plays a salesman who is trying to buy rights for drilling in a rural American town, only to be met with great resistance, despite the money of the potential sales being needed after the economic downturn. Clearly, this is a serious movie. However, as the New York Times says, that seriousness seems not to align itself with the movie's intentions: "Promised Land feels divided against itself, not quite sure how to reconcile its polemical intentions with its storytelling impulses, and thus finally unable to fulfill its own promise." Likewise, the Village Voice doesn't see the film's clarity saying it's "a hard-sell movie because it doesn't have the confidence in its audience to make any other outcome seem personally viable, to give the opposition a fighting chance or persuasive voice." The Los Angeles Times considers it to be contrived and "an echo of a convincing film rather than the real deal." 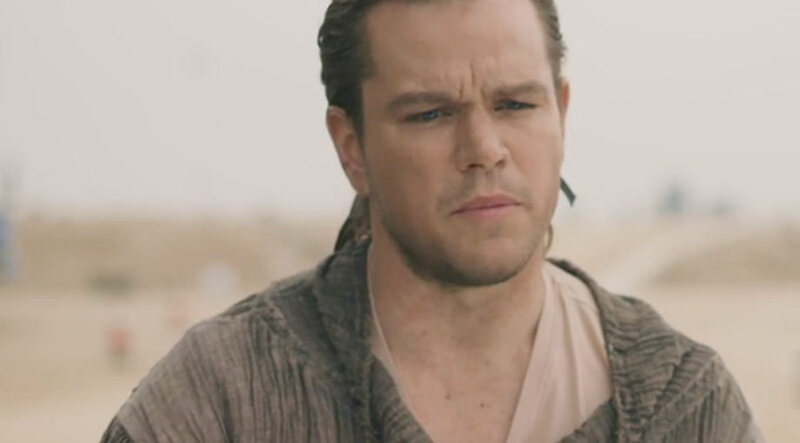 Continue reading: Matt Damon's 'Promised Land' Flops With Reviewers, But Why? Has Argo Finally Buried The "Bennifer" Shame For Ben Affleck? Ben Affleck’s reputation – and, effectively, his career – took a serious nosedive during the period of time that he dated Jennifer Lopez. Their joint cinematic effort, Gigli, was a laughing stock and their frequent appearances in the tabloid press overshadowed both of their careers. Now, 14 years since he was awarded an Oscar (Best Writing, Screenplay Written Directly for the Screen) along with Matt Damon for Good Will Hunting, it seems that Ben Affleck has finally put the shame of “Bennifer” behind him and has been accepted back into the upper echelons of Hollywood respectability. His latest movie, Argo, tells the real-life tale of the rescue of six American diplomats from Iran in 1980. There has been a muttering of Oscars-nomination possibilities surrounding Argo since it debuted. 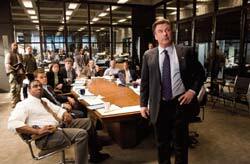 Now, with the movie having landed five Golden Globe nominations and a Screen Actors Guild nomination for its ensemble cast, those mutters are rapidly turning into firm declarations. 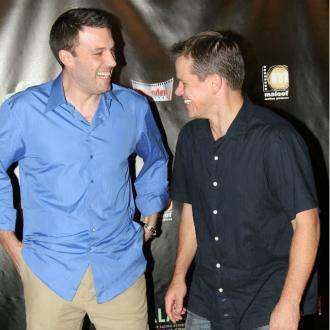 His former screenwriting comrade Matt Damon told Reuters that he’s glad Affleck is finally getting the recognition he deserves, once more. “It was tough to watch him get kicked in the teeth for all those years because the perception of him was so not who he actually was,” said Damon. “It was upsetting for a lot of his friends because he's the smartest, funnest, nicest, kindest, incredibly talented guy.” Let’s see if next year’s Oscars ceremony proves to be a turning point, then, for Affleck’s beleaguered career. Continue reading: Has Argo Finally Buried The "Bennifer" Shame For Ben Affleck? Steve Butler is a successful businessman as part of a natural gas company who wishes to close down failing farming communities in order to obtain resources. He and his business partner Sue Thomason go to visit a particular town that is suffering a lot in the economic crisis in the hope that it will be easy to get drilling rights for the farmers' land in order to gain important resources through hydraulic fracturing, more commonly known as 'fracking'. Things do seem easy at first, with his proposition providing some hope of economic relief for many members of the community, however he is soon challenged when a highly regarded teacher from the school and a determined grassroots campaigner object to the proposal and go about trying to get the rest of the town to vote against it. 'Promised Land' is a particularly appropriate film for the current economic climate and raises important issues that are of real concern to many. It has been directed by Gus Van Sant ('Good Will Hunting', 'Milk', 'Paris, je t'aime'), written by the movie's stars John Krasinski and Oscar winner Matt Damon (writer of 'Good Will Hunting') and based on a story by Dave Eggers ('Away We Go', 'Where the Wild Things Are') and is set to hit screens in the UK next year on April 19th 2013. There's a terrific story inside this well-made but bloated movie, as if director-cowriter Crowe simply couldn't figure out which elements he most cared about, so he included everything. It's engaging enough to keep us watching, but never finds any real focus. After his wife dies, Benjamin (Damon) is struggling to keep his kids - 14-year-old Dylan (Ford) and 7-year-old Rosie(Jones) - happy, mainly because he has lost the daredevil storyteller within himself. So against the advice of his goofy-but-sensible brother (Church), Benjamin buys a run-down zoo and moves there with his children to get it up and running again. Zookeeper Kelly (Johansson) and her team (including Macfadyen and Fugit) don't think he'll stick it out. And indeed, it's more of a challenge than he ever imagined. 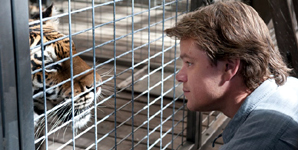 We spoke with Matt Damon about his latest film Green Zone which is released on Blu-Ray & DVD on 12th July 2010. Watch the trailer for Green Zone. Matt Damon and Ben Affleck's Project Greenlight, a reality program designed to give first-time film makers an unprecedented shot at their dream, won a few battles but ultimately lost its war. Over the course of three seasons, Greenlight made mountains out of molehill-sized production problems for the benefit of its drama-craving audience. The program also took joy in vilifying bullish producer Chris Moore, a headstrong professional whose chief crime was trying to keep unfocused amateur film makers on track. Not surprisingly, the weekly episodes ended up being more entertaining than the theatrically released films. Writer-director Pete Jones serves up a nostalgic slice-of-life in his examination of friendship and faith in the winsome but saccharine Project Greenlight winner Stolen Summer. Jones, the budding filmmaker whose chosen screenplay would emerge victorious among hundreds of competitors, delivers a film that has atmosphere and heart but ultimately ends up as just another anemic, personal story with well-meaning sentiment. There is much being made about the behind-the-scene politics of nurturing Jones's winning pet project through the Project Greenlight campaign, as well as his movie being the subject of a hit HBO documentary series. Sadly, this all feels like some publicity stunt more than it does a legitimate process in discovering talented artists. Stolen Summer tells the poignant tale of two energetic 8-year old youngsters living in the hazy days of Chicago circa 1976 where disco music and polyester profoundly dominated the scene. 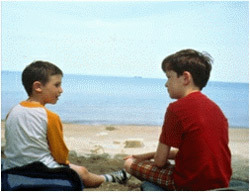 Pint-sized rabble-rouser Catholic schoolboy Pete O'Malley (Adi Stein) is sternly lectured by his teacher and told that he must change his mischievous ways over the summertime. And so Pete is released from school with some serious thinking to do while he basks in the glory days of the upcoming summer. But Pete's overworked firefighter father (Aidan Quinn) and stay-at-home mother (Bonnie Hunt) are harried by all their responsibilities and just don't have the time to cater to all the personal and emotional needs of their brood. Thus, Pete has to find his own way to spiritual salvation. Last year, Christopher Nolan took memory loss to a new level with his masterful thriller Memento, in which the hero tattoos notes on his body to help him cope with his condition. This year, the amnesiac champion of The Bourne Identity uses brains and brawn as a means of sorting out his memory loss. Doug Liman directs Identity with the same degree of creativity as he demonstrated with Swingers and Go, despite some reportedly epic studio and script squabbles. This time, however, he works on a much grander scale. The Bourne Identity is based upon Robert Ludlum's famous series of spy thrillers about the elusive and extra-human Jason Bourne. Matt Damon plays Bourne, a spy who survives a shipwreck in the middle of the Mediterranean Sea but does not remember his identity or past. Implanted in his back are a series of bullets and a capsule containing an account number for a safety deposit box in Zurich. Once inside the box, he uncovers a supply of passport identities, money, and weapons - which only adds to his confusion. Who would've thought, in this dreary month of studio-dumped product, that true joy could come in the form of Vinnie Jones and a busload of football hooligans barreling down a French highway in the wrong lane with Vinnie screaming, "Piss off! Drive on the right side of the road!" Well, me neither, but nonetheless Eurotrip manages to be that oddly rare quantity these days: the actually enjoyable stupid comedy. Starring a bunch of nobodies, leavened with a few clever star cameos, and written and directed by guys you've never heard of, Eurotrip wastes no time with the setup and getting its young stars to Europe. Upon graduating from high school, Scotty (Scott Mechlowicz) gets dumped by his girlfriend (Smallville's Kristen Kreuk), who then makes out with the lead singer of the band playing at the graduation party (an oddly-placed Matt Damon, lip-synching a song called "Scotty Doesn't Know"). Simultaneously, Scotty discovers that his German e-mail pen pal, whom he thought was a guy, is actually an extremely hot blonde. Unfortunately, drunk and despondent, he has just told her to stop writing (thinking it was a guy coming on to him). Spiritually devastated, Scotty decides to head across the Atlantic with his friends - requisite crazy guy Cooper (Jacob Pitts), nerd Jamie (Travis Wester), and Jamie's tomboy sister (Michelle Trachtenberg) - to seek the Aryan beauty of his dreams. 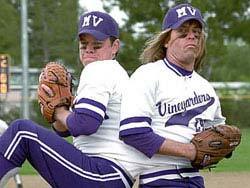 When Walt Tenor (Greg Kinnear) decides he wants to become an actor, he tries to convince his twin brother Bob (Matt Damon) -- his conjoined twin brother -- to move out to Hollywood with him by saying, "You could be my stunt double!" Yes folks, "Stuck On You" is another cheeky comedy of good humor and questionable taste from the Farrelly Brothers ("Kingpin," "There's Something About Mary" and "Shallow Hal"), and yes, folks, they get a surprising amount of mileage out of jokes like that one -- rim-shot-quality punchlines given winkingly ironic sparkle by the wily writing-directing team's laughing-with-not-laughing-at sensibilities. There's the scene in which Walt walks his shy sibling over to a pretty blonde in a bar, then takes over the seduction himself when Bob blows it -- and ends up bringing the girl home (Bob tries to ignore their moaning from the other side of a makeshift curtain). There's Walt's "one-man" stage show about Truman Capote, in which Bob tries to slouch as inconspicuously as possible behind Walt's back. 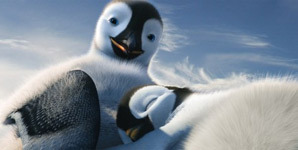 Thanks to all the is-it-or-isn't-it-blasphemy controversy surrounding "Dogma," writer-director Kevin Smith has added a tongue-in-cheek disclaimer to the opening of this renegade ribbing of the Catholic church that is so amusing ("...God has a sense of humor, just look at the platypus") it will have audiences in stitches even before the first line of dialogue. Whether or not you'll think the movie stays this funny will depend on how sensitive you are about your position on the religious yardstick, your threshold for soapbox pontification and what it takes to gross you out. Smith, the maverick Generation X satirist responsible for ragtag underground hits "Clerks" and "Chasing Amy," makes no bones about testing the limits of irreverence and good taste in this ironically snappy and smart-mouthed theological deliberation.